Just like our Tuscan Lemon Chicken we love lemon and chicken together. A popular NY eatery makes one of the tastiest lemon chickens we’ve ever had. 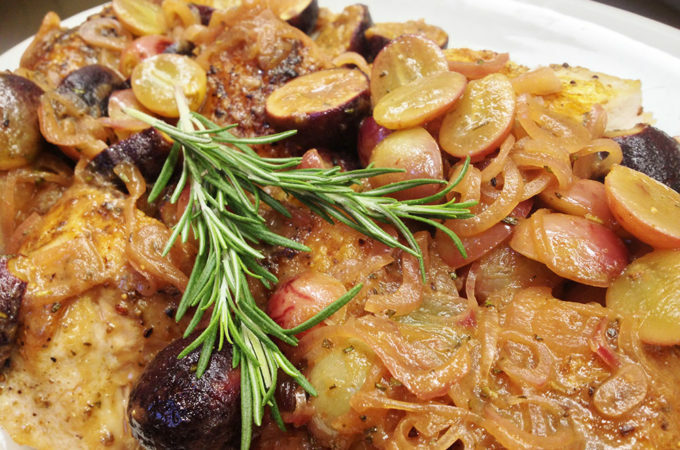 We think the flavor burst results from two acids being used in the sauce. Rao’s New York remains a difficult reservation even after decades of being in business. 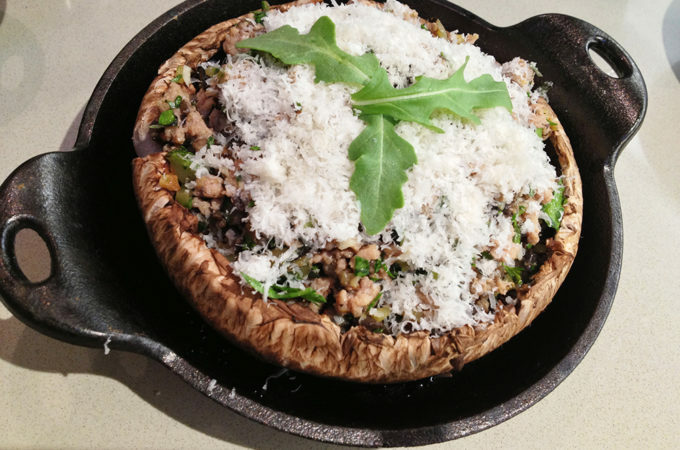 Although having a second Vegas location does increase your chances, but why wait make this at home…absolutely delicious! 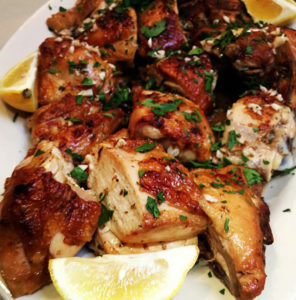 Lightly coat chicken with olive oil and sprinkle on both sides with salt. 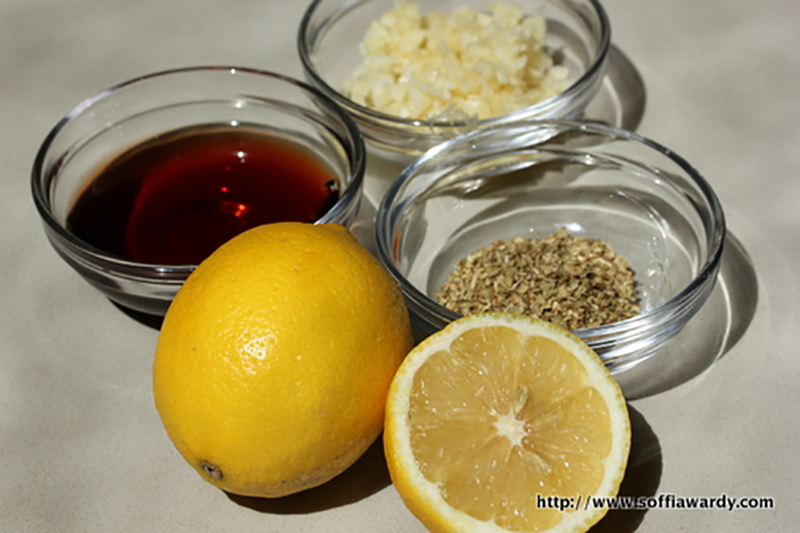 While chicken is broiling make the lemon sauce. 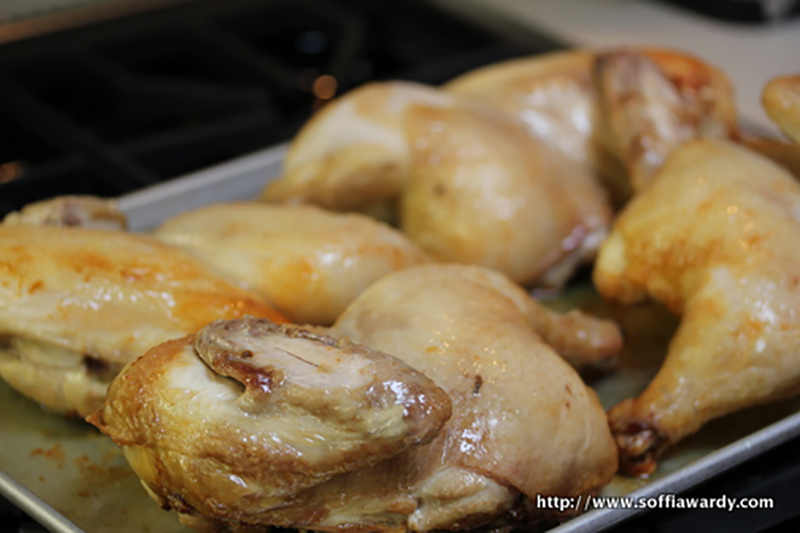 Remove chicken from oven and allow it to cool enough to handle. 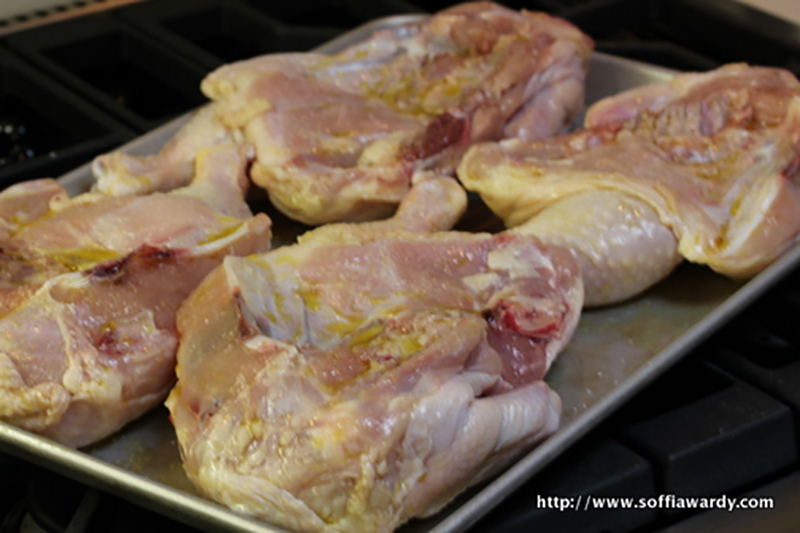 Using a very sharp knife, cut each 1/2 chicken into about 6-7 pieces (leg, thigh in 2, wing, breast in 2 or 3 pieces). For uniform presentation cut the ends off the drumsticks. 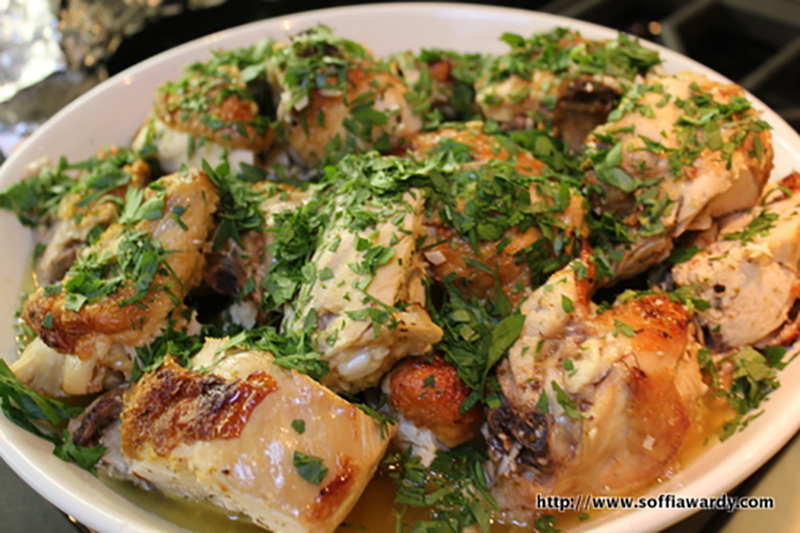 Arrange chicken pieces, skin side down in an oven proof rimmed dish or pan. Staring skin side down on the final broil will allow you to finish skin side up resulting in crispier chicken. Pour marinade all over chicken. Broil in oven for 3-4 minutes on high to finish cooking the chicken and heat the marinade through. Turn chicken skin side up, so all the chicken absorbs the marinade then Broil for another 3-4 minutes. Plate up chicken and pour juice over chicken, make sure to include a spoon or ladle on the platter to serve juice. If serving individually serve a few pieces of chicken for each person in a bowl with plenty of juice and crusty bread. Garnish with fresh chopped parsley! Whisk together juice, oil, vinegar, garlic, oregano, and salt and pepper, set aside. I used your recipe for Rao lemon chicken and then I read the actual Rao’s recipe. The measurements for the lemon sauce is so different! would you view your recipe and post me back a comment please. the chicken is in oven right now! Thank you for pointing out the amounts, we have made some slight adjustments, however the original recipe would have been fine with extra garlic, red wine vinegar and oregano. Take a look at this video, it may help although please keep in mind that they are using only one chicken. Also we test and adapt the recipes and we do make our own adjustments according to our test kitchen results.